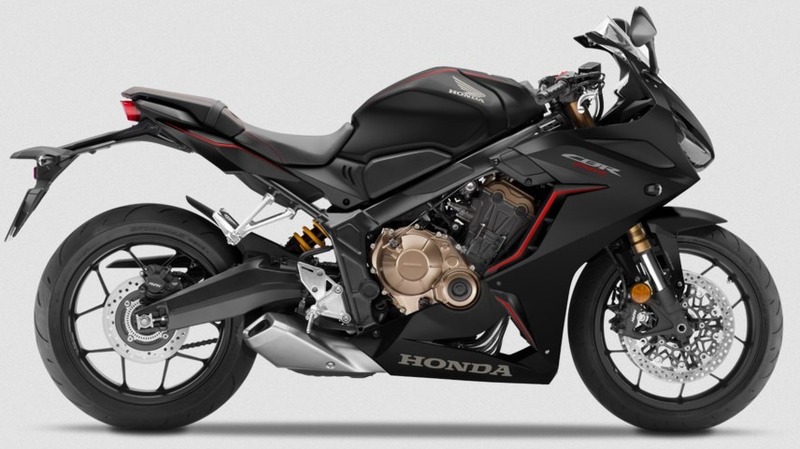 Honda has prepared a completely redesigned Honda CBR 650R for the coming year, which will replace the previous CBR 650F. The Honda CBR 650R is more of a sports motorcycle than the F version, but it’s not a complete supersport model like the Kawasaki ZX6R or the Yamaha R6. 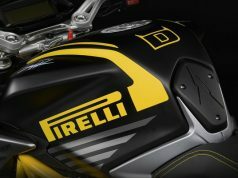 Honda has decided to send the former CBR 650F to retirement and replace it with a more attractive model. 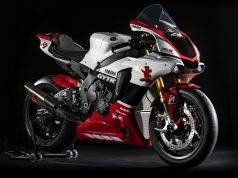 In fact, the 650R is a redesigned 650F with a slightly stronger aggregate, a different and more aggressive driver’s position and a look similar to the CBR1000RR model. A regular four-cylinder DOHC unit of 649 cm³ was experiencing changes that led to increased power. 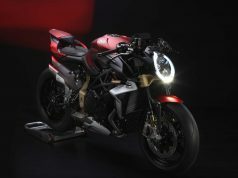 The suction and exhausts were redesigned, and the compression ratio was increased, resulting in an increase in power by 5%. These changes have brought the torque increase in the middle revs, while the maximum revs before the rev counter fall in blockade, is increased from 11,000 rpm to 12,000 rpm. Honda made these changes to squeeze a “hole” to 5,500 RPM that was on CBR 650F model. All of these changes brought an increase in power from 86 hp to 94 hp at 12,000 rpm and a maximum torque of 64 Nm at 8,500 rpm. The compression ratio is increased from 11.4: 1 to 11.6: 1. 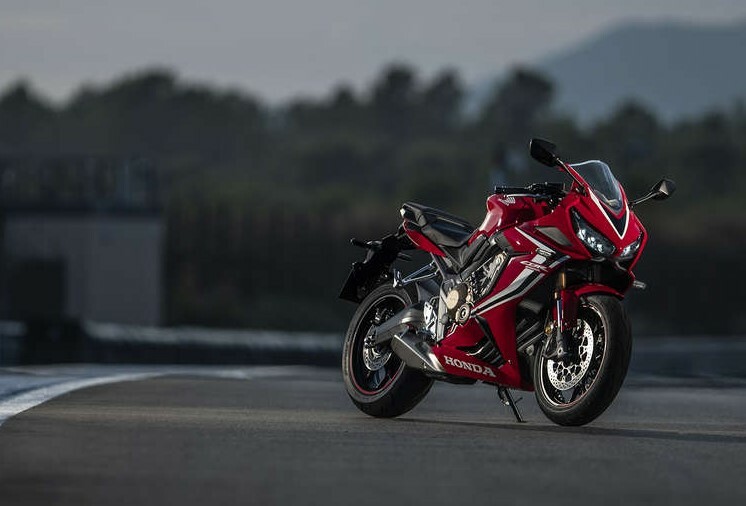 The CBR 650R has a slipper clutch that does not allow a six-speed gearbox and a higher compression ratio of new engine to block the rear wheel during quick down shiting. The overall weight of the motorcycle has been reduced by 6 Kg thanks to a different chassis made by a different technology, and it is lighter 1.9 Kg compared to that chassis from the Honda CBR 650F. Weight savings were also obtained on a different fuel tank. The chassis and steering wheel are set to guide the driver forward and down. 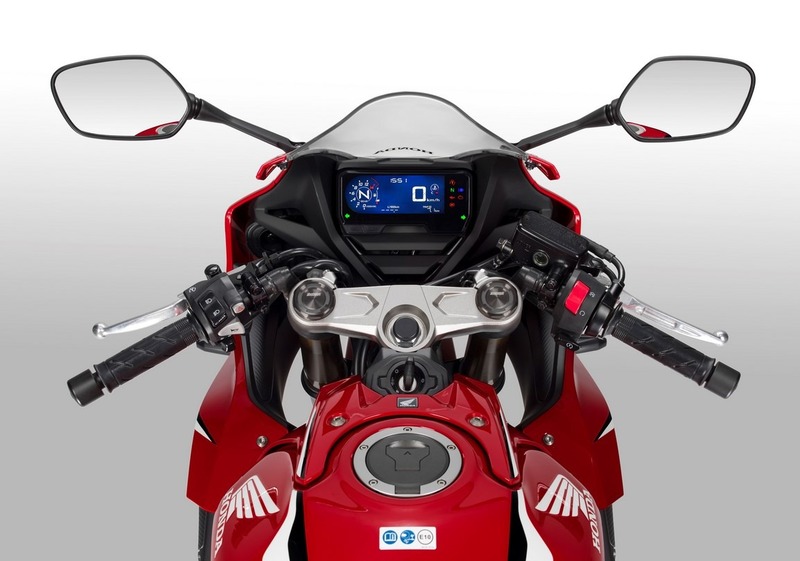 The handlebar is set 30mm to the front and slightly lower than on the CBR 650F, and the sidewalls are 6mm higher and 3mm backward, while the height of the seat remains at 810mm. The new is also the Showa SFF front fork with 41 mm in diameter, which offers 7 mode preload setting. The brakes are radially positioned with two floating discs 310 mm in diameter and one disc diameter 240 mm in the rear. ABS is a standard part of the equipment. Cast aluminum wheels are designed specifically for the HONDA CBR 650R, with tires in dimensions 120/70-ZR17 front and 180/55-ZR17 back. From electronic accessories, the Honda CBR 650R has the so-called Honda Selectable Torque Control (HSTC), which is in fact a slightly different title for traction control. The Honda CBR 650R has an aggressive look and looks a like to it’s big brother CBR1000RR with two LED headlight. The LCD dashboard received a gear-level indicator as well as a “blipper” that warns driver that a gear change should be made when the aggregate is in high-revs. The Honda CBR 650R was designed to get closer to a sports motorcycle, while retaining practicality. 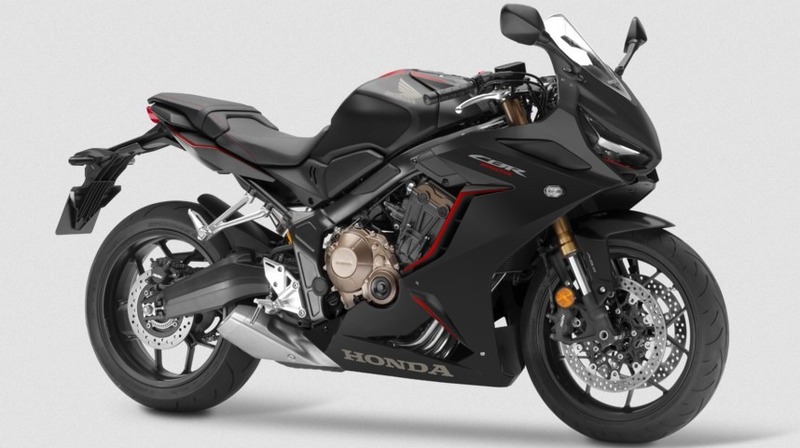 It is ungrateful to rate the CBR 650R on the basis of raw data, but it seems that Honda is trying to “sit on two chairs” and trying to make compromise between the CBR600RR and the CBR650F model. At first look, Honda CBR 650R have some potential, but it remains to see how it will show up on the first tests.